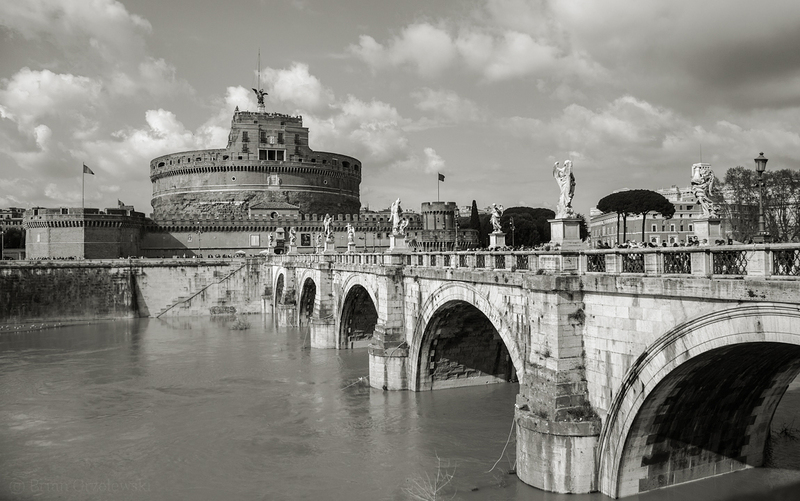 Along the Tiber river in Rome is Castel Sant’Angelo. The beginnings of this building began around 130 A.D.. It has had various uses over the years. But, the one thing that stuck in my mind is this is the location for the setting of act 3 of Puccini’s Opera Tosca. Tosca sings the beautiful area “Vissi D’Arte” and later throws herself from the roof of this castle.